Looking for a Better Way to Organize Genealogy Folders and Files? Consider Folder Marker! One of the challenges for many genealogists and family historians is to keep your information organized. Especially in today’s digital age when more and more of us are researching online. Does this sound like you and your online research habits? Well join the club. And even with Windows 10, which offers the ability to customize folders using images and colors, the process is time consuming and difficult to use. 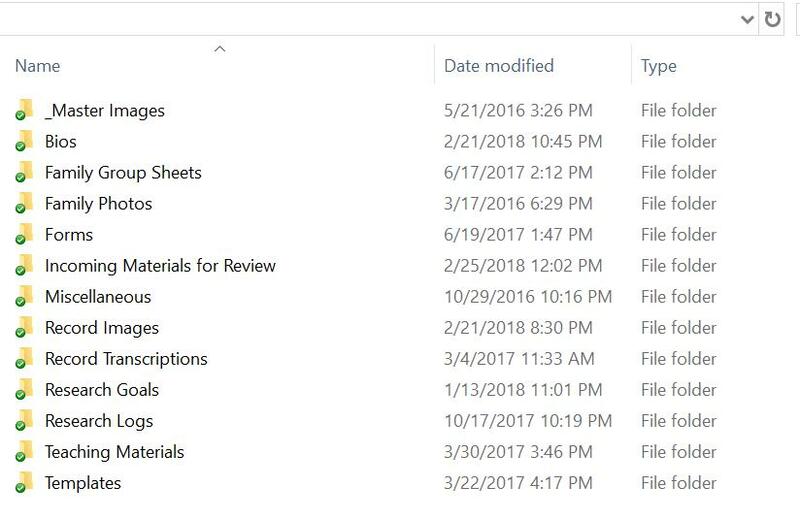 When I started The Genealogy Do-Over in 2015, one of the focus areas I knew that I had to cover was how to organize digital files and folders. Besides looking at naming conventions such as starting with the surname in All Caps or starting with the document date in YYYYMMDD format, I want a way to visually identify items easily. I recently took the Folder Marker product for a test drive using my genealogy files in Dropbox, and it does the trick for me! It is easy to download and install as well as easy to use. Folder Marker also offers me the flexibility to design folders the way I want and in keeping with my research habits. Usually I work in Windows Explorer and use the Details view which is small and difficult to read. NOTE: as I age my vision is getting progressively worse. I currently am near-sighted in one eye, far-sighted in the other, with some macular degeneration and I also tend to suffer from torn retinas. And since my genealogy business is very computer dependent, being able to view folders and files quickly and easily is so important to my success. Special Icon Sets Available – Including Genealogy! These icons, along with the base set in Folder Marker Pro have been very helpful in setting up a system of file and folder management that works for me and my genealogy research. Keep in mind that there are different VERSIONS of Folder Marker: Folder Marker Free, Folder Marker Home and Folder Marker Pro. I used the Folder Marker Pro with the additional Genealogy Icons set in my test drive and review. Click HERE for a comparison of the different versions. Folder Marker Version 4.3 is a Windows based program (there is no Mac or iOS version). 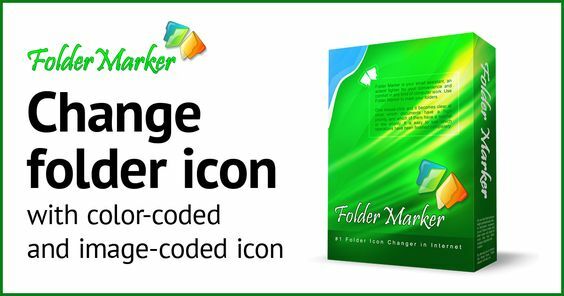 Folder Marker is compatible with Windows XP, 2003, Vista, 7, 8, 8.1 or Windows 10, x32 or x64 editions. The download size is 11.1Mb. IMPORTANT: You can “test drive” any of the Folder Marker products by clicking DOWNLOAD and then decide if you want to make a purchase. I’ve negotiated a special promo code with the folks at Folder Marker that let’s you save 10% off the base price of $34.95. Use code 25OrAboveForGift when you check out – offer is good through March 18, 2018. Click HERE for more information and a free trial download of Folder Marker! 1 Comment on "Review: Folder Marker . . . A Great Way to Organize Genealogy Files"
Genealogy technology expert Tamura Jones included Folder Marker in GeneAwards 2017! The Genealogy Folder Icons won Most Whimsical New Genealogy Product!